"Easy access to food nearby." Have a question for Goodstay Songwal Park? Well-placed in the family fun, sports, sightseeing area of Sokcho-si city, Goodstay Songwal Park provides a most conducive spot for you to take a break from your busy days. From here, guests can enjoy easy access to all that the lively city has to offer. Visitors to the hotel can take pleasure in touring the city's top attractions: Sinheungsa Temple, Choksan Spa World, Sinheungsa Temple (Seoraksan). At Goodstay Songwal Park, every effort is made to make guests feel comfortable. To do so, the hotel provides the best in services and amenities. The hotel provides 24-hour room service, car park, concierge, elevator, shops to ensure our guests the greatest comfort. All guest accommodations feature thoughtful amenities to ensure an unparalleled sense of comfort. Besides, the hotel's host of recreational offerings ensures you have plenty to do during your stay. 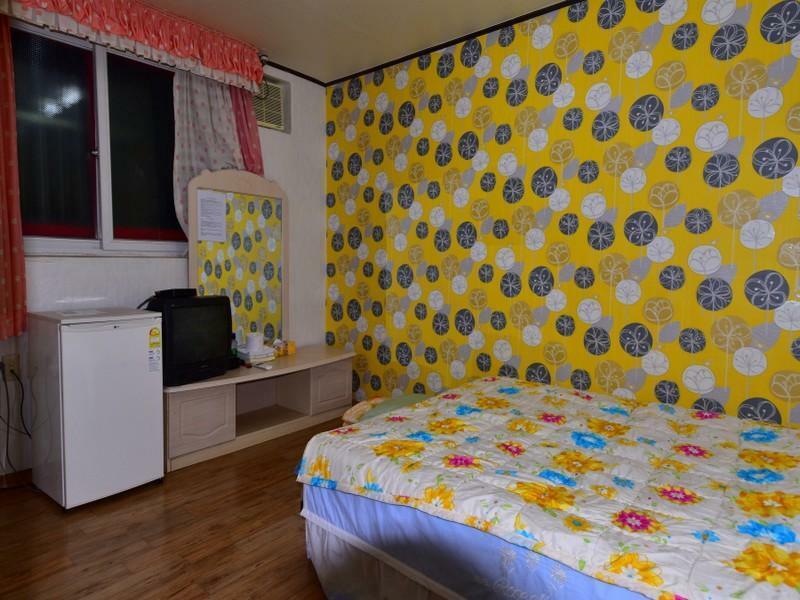 Whatever your purpose of visit, Goodstay Songwal Park is an excellent choice for your stay in Sokcho-si. 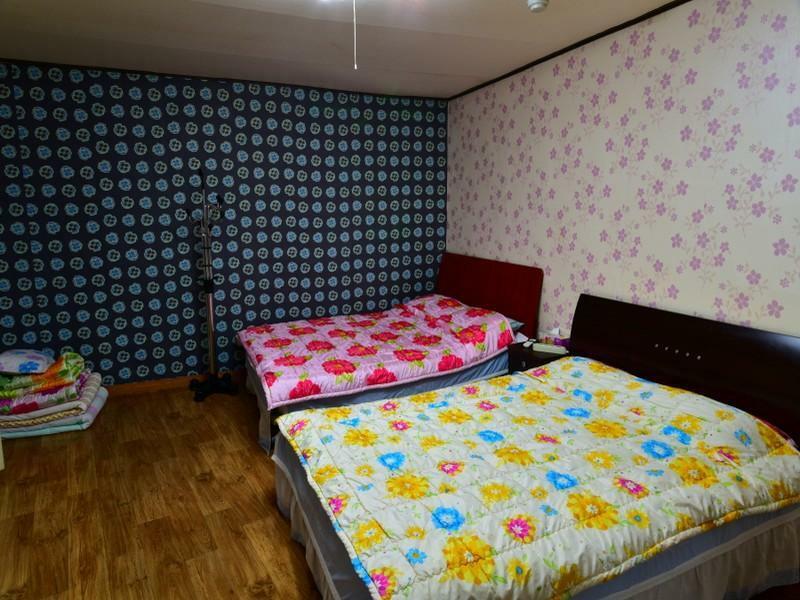 "Very well situated - bus stop nearby, 24/7 shop, restaurants"
About 25min walk to seoraksan entrance. Easy access to food nearby. Friendly staff. Spacious room. cosy, near to seorak moutain (5min bus ride), outside seorak moutain vistor centre. We choose the place due to it being close to seorak mountain. I had a great stay because of the great staff/owners. Big room for a standard double. Close to bus stop. 15 minute walk to National Park entrance. Although the hotel is certified Goodstay, it was nothing like a good place to stay if you want cleanliness, peace and comfort. The hotel might be located relatively close to the national park entrance as well as a few minutes walk to the nearest bus stop which has buses that bring you to and fro of the national park, that was all that is good about it. The hotel looked very dated, staff could not understand or speak English adequately, the room i stayed in looked like it was cleaned hastily. I could spot bugs on the walls, dirt was under the sheets, worst of all the toilet door could not even be closed properly. The hotel has a convenience store but the snacks sold were already well past its expiry date. For example, a packet of halls i bought was 2 years past its expiry date. I only discovered it as i was about to open the packaging and saw a date that looked odd, after showing it to the store owner, he smiled and promptly took the sweet and refunded the money. The hotel also allow guest to cook their own meals in an open porch but the porch was swarming with flies and it did not look like the utensils were clean too. In the evening, many of the Korean guests would start to have bbq in the porch and the entire hotel will be filled with smoke. The location is convenient. There are two buses could reach & only take few minutes walking from bus station. Staff are nice & very helpful. The room is large & the bed is comfortable. (1)Near the SEORAK MOUNTAIN NATIONAL PARK(2)A quiet surrounding. (3)Near the bus stops going to downtown. (1)Room is big and clean. (2)Have a quiet surrounding. (3)Near to the entrance of the SEORAK MOUNTAIN NATIONAL PARK. (4)Near to the bus stops going downtown,though it is not so convenient. (5)You can walk down from the hotel and find many restaurants with reasonable price and delicious food. the hotel is close to the bus stop that takes you to the entrance gate of Mt.Seorak. It is old and not particularly clean (e.g. you should better bring a sleeping bag). The rates during the week are already kind of high for what you get, but they increase with 150% during the weekends... The only good thing is its close proximity to seoraksan national park (~2 km), but there might be better options equally close. Staff were friendly and helpful even though we couldn't speak any korean. Good location for the price with plenty of space and a gas stove and fridge in the room. enjoyed our 2 night stay at goodstay songwal park hotel. my guests from south africa complained about a damp smell and were moved to another but smaller room although they had paid approx $ more than us per night. considering the size of the towels they are definitely not for after shower use. 2 things stood out: the proximity to the mountain and the fact that we were able to prepare our own meals. there are some restaurants nearby (mostly korean) but one would need to take a taxi (10000-15000 won)or bus to go to sokcho to have a bigger variety. the hotel was virtually empty during our stay in the 3rd week of august. Large hotel with many rooms, very good standard. Close to the national park entrence. Only problem was non-functional PC stations and also that staff cannot speak English. But they work hard to make our stay pleasant. I really admire Korean hospitality. Very comfortable hotel, I highly recommend it to anyone who is looking for a time sightseeing in Sokcho. The Hotel is very easy to access by bus and really near form the Seoraksam park. One could prefer stay in hotel inside the park but this one is really fine! the owner was very nice. the owner speaks fluent english less, so we communicate through google translation. he drove us back to the bus terminal at sokcho, it's free. nice location, near bus stop that you can take to get the park entrance. big room with a small kitchen if you want to cook your own meals. the hotel is a bit old, but clean enough. The hotel location near the Tourist Information Centre. Some shops nearby. The staff can't speak english so we communicate through google translation. Big room with a small kitchen. Directions going to the hotel is needed. The room is nice with heated wooden flooring. The toilet needs special attention in cleaning. I don't like stained tiles! the owner was very nice. he informed us that he will be receiving a big group later today and offered to transfer us to a different hotel. we thought that was a very kind gesture - he did not push us at all, he had the room for us, but he thought that the big crowd would inconvenient our stay. so thumbs up for this. 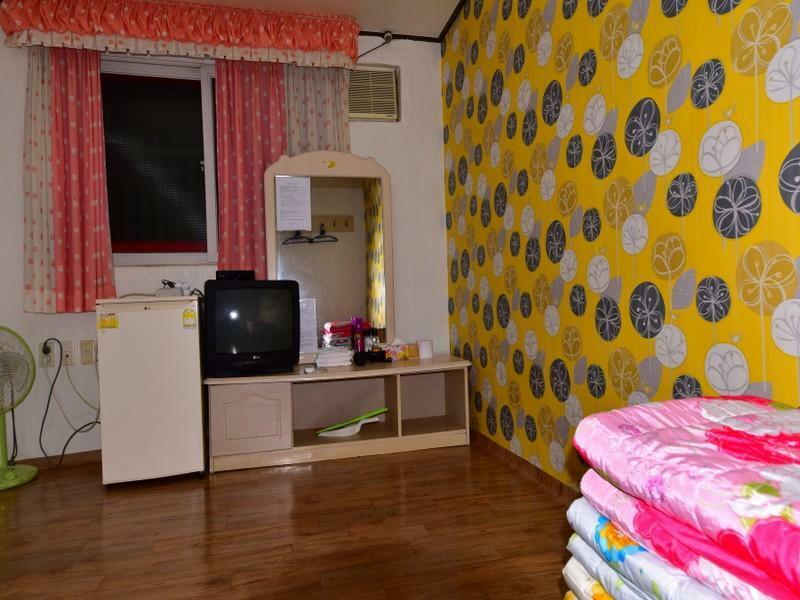 Goodstay Songwal Park is a family-run hotel located not far from the park entrance. The owners are nice even when they can speak a little English. The location is good. Near the Tourist Information Center. Some shops nearby. Close to the bus-stop that you can take to get to the park entrance. There is a parking for guests, too. Hotel is a bit old, but clean enough. Big room with a small kitchen if you want to cook your own meals. Bathroom is quite good too.